The release of the iPad yesterday came with a lot of hype, but one thing it didn’t come with is the ability to access the Internet outside of a WiFi hotspot. 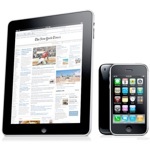 Ryan Hypnal (@ryanrohypnol) developed a solution that will allow you to use your iPhone 3G as a tethering device for your iPad. 1.Go into your Cydia or Rock installer app and search for “MyWi” Download and Install it. Open the app and name your network press ON. The upload and download speed being so low was because I am in a basement with barly any service, usally it will be a pretty fast connection! 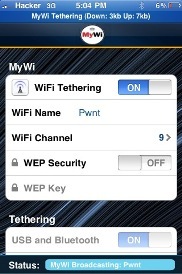 2.Go on your iPad into the settings and press on WiFi, Select the network you created!